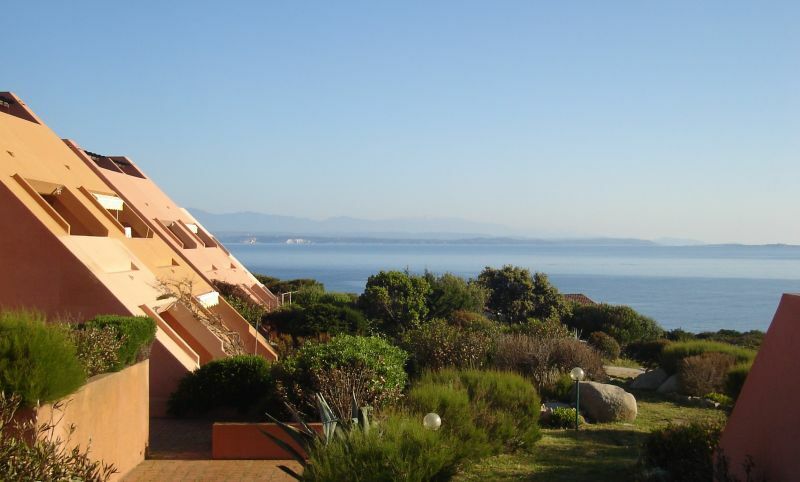 Rent a large apartment in a residence, with a beautiful sea view and a few steps away from the sea. Sardinia – Santa Teresa di Gallura – Rent a large apartment in a residence, on the ground floor, in the village of Porto Quadro (3 km away from Santa Teresa di Gallura) with a beautiful sea view, a few steps away from the seaside, well furnished, composed of an ample dining room with open-plan kitchen, two bedrooms (one has a double bed and its en suite bathroom, the other one - 2 single beds), 2 bathrooms. Patio with a small private garden, well equipped for dinners in the open air, allows you to enjoy a splendid sea view that faces Corsica. 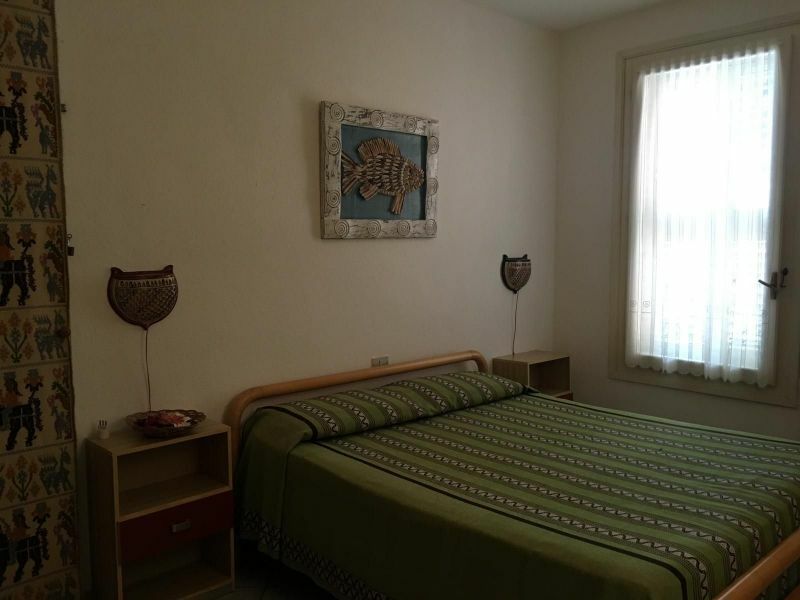 The apartment can accommodate up to 6 persons. Thank you so much, Mrs. Cristina! It was a pleasure to have you as guests! Grazie mille, Sig.ra Cristina! È stato un piacere avervi come ospiti! Thank you very much, Hannes, for your detailed review! You’re always welcome, if one day you decide to come back to Santa Teresa. It was a pleasure to have you as guests! Vi ringrazio per il vs commento! È stato un piacere avervi come ospiti! Thanks for your comment Mrs Graziella! It was a pleasure to have you as guests! Grazie del vs commento Sig.ra Graziella! È stato un piacere avervi come ospiti! Definitely satisfied with the stay at this holiday cada. 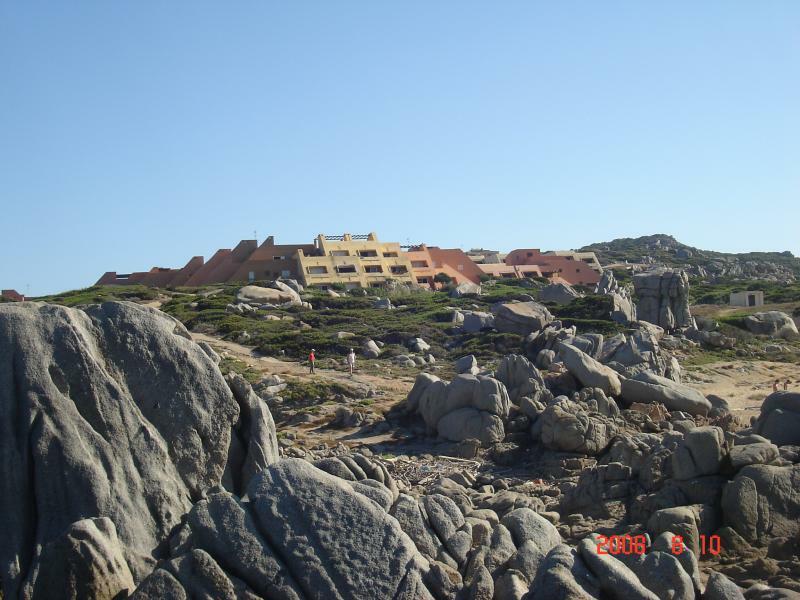 Located in a lovely area, among the rocks overlooking the sea of ? ?Santa Teresa Gallura. If you are looking for a quiet place to stay in peace with nature, I recommend it! Around the house, there are great glimpses for those who like me are passionate about photography. 5 stars also worthy of Mrs Elena, whom I treated for my stay; cordiality and kindness characterize it. Decisamente soddisfatto del soggiorno in questa casa vacanze. 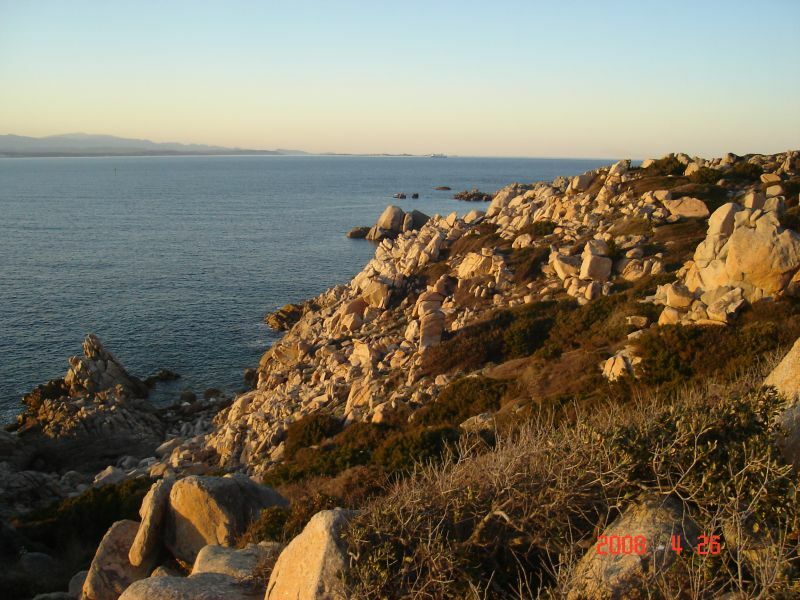 Situata in una zona incantevole, tra le rocce prospicienti, il mare di Santa Teresa Gallura. Se cercate un posto tranquillo e per stare in pace con la natura, lo raccomando! Intorno alla casa, si trovano ottimi scorci per chi come me è appassionato di fotografia. 5 stelle meritatissime anche alla sig.ra Elena, con la quale ho trattato per il soggiorno; cordialità e gentilezza la contraddistinguono. Thank you Mr. Roberto for choosing our home and for wanting to leave a comment on your stay! Grazie Sig.Roberto per aver scelto la nostra casa e per aver voluto lasciare un commento sul vostro soggiorno! 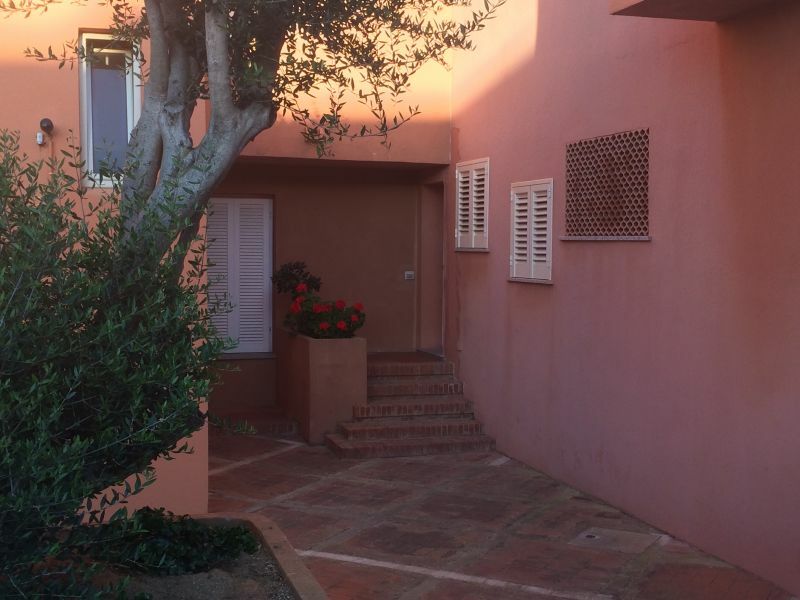 Great apartment, kind and helpful owners, not far from all, including the best beaches ... I recommend it! 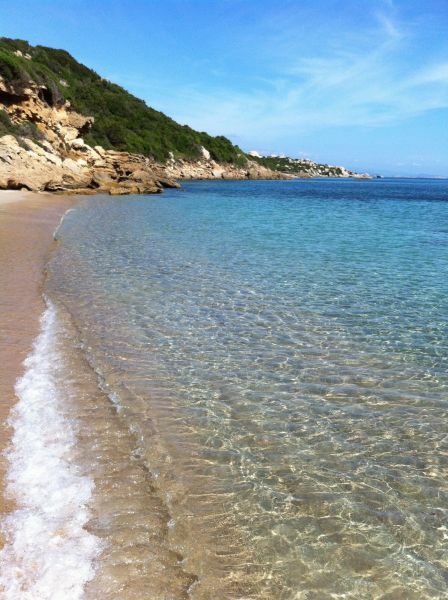 Ottimo appartamento, proprietari gentilissimi e disponibili, a pochi chilometri da tutto, migliori spiagge comprese... Lo consiglio ! Thanks of your comments Sig.Camera! Grazie del Suo commento Sig.Camera! 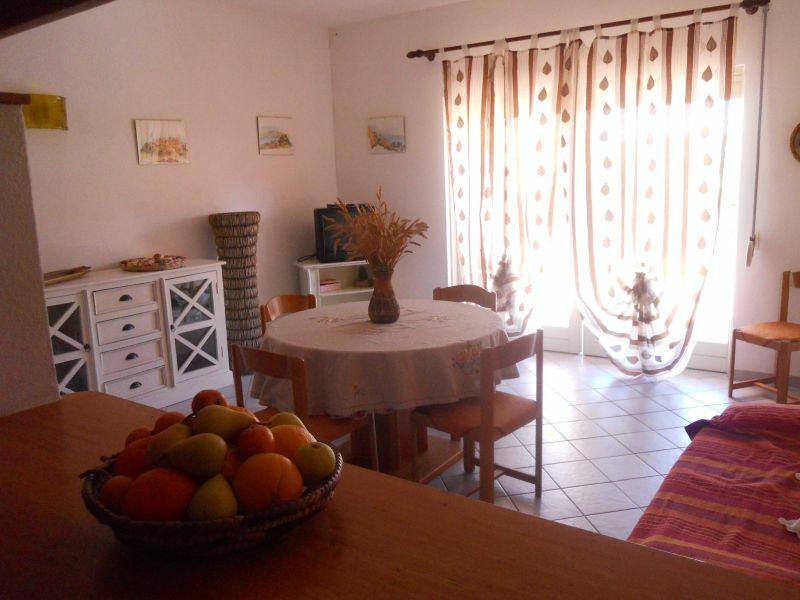 Stay from 16 July to 6 August 2016, nice apartment, very clean, spacious, well enough equipped for a vacation rental. In a very quiet and very well maintained residence. In addition the owners are very nice and available. I recommend this location, will definitely return. 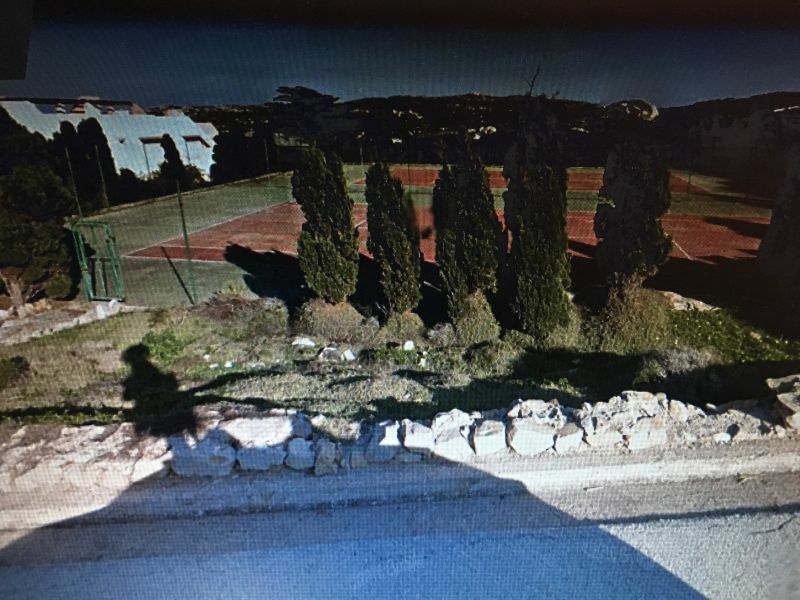 Séjour du 16 juillet au 6 août 2016, appartement agréable, très propre, spacieux, assez bien équipé pour une location de vacances. Dans une résidence très calme et très bien entretenue. De plus les propriétaires sont très agréables et disponibles. Je recommande cette location, nous y reviendrons certainement. Carole A. Very nice apartment, furnished with taste. The environment around is beautiful. 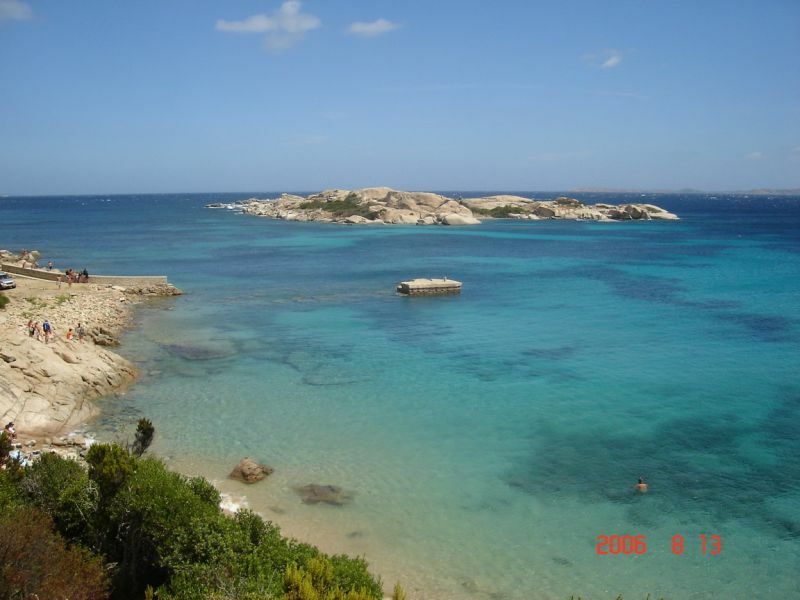 Sardinia is a beautiful island with very friendly people and very family. The beaches are gorgeous! wonderful relaxing holiday thanks to the apartment we rented. Everything was as described, perhaps even better. perfect location! Quiet close to the sea, surrounded by a manicured green. The Sig. Elena has proved a very helpful lady of the house, correct and collaborative. We return to the harbor framework, definitely we contact you. Thank you. 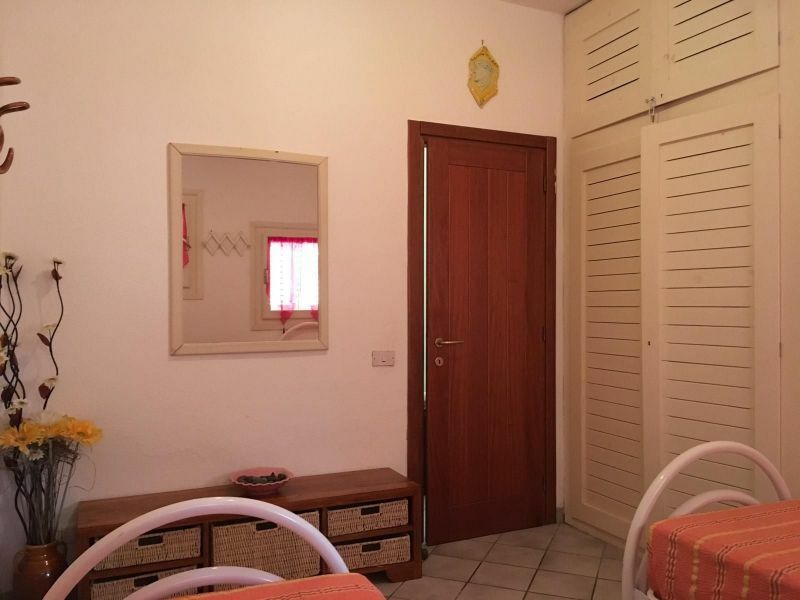 Vacanza splendida in tutto relax anche grazie all'appartamento che abbiamo affittato . Tutto era come descritto, anzi forse meglio. Posizione perfetta! Tranquilla, vicina al mare , immersa in un verde curato. La Sig. Elena si è dimostrata una padrona di casa molto disponibile, corretta e collaborativa. Dovessimo tornare a porto quadro, sicuramente la ricontatteremo. Grazie. A relaxing month at a great place in an apartment very well maintained very spacious well furnished and with everything that can serve. The apartment is as described and even better. 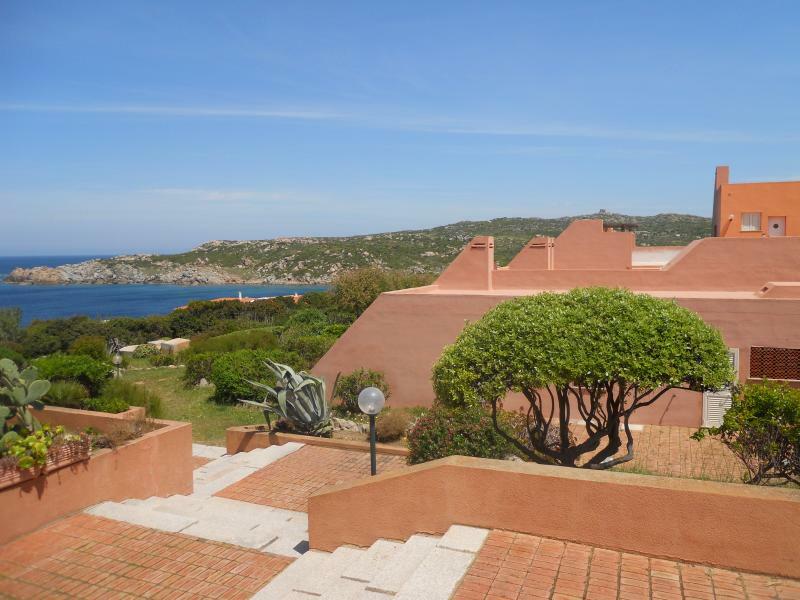 Two bedrooms, two bathrooms, living room kitchen, large terrace with fantastic views of the beautiful sea between Sardinia and Corsica. Kind and very helpful to Ms Elena, the apartment owner, who I would like to thank. Un mese di relax in un posto fantastico in un appartamento molto ben tenuto molto spazioso ben arredato e con tutto ciò che può servire. L'appartamento è così come descritto e anche meglio. Due camere, due bagni, soggiorno angolo cucina, ampio terrazzo con vista fantastica sullo splendido mare fra Sardegna e Corsica. Gentile e assai disponibile la sig.ra Elena, proprietaria dell'appartamento, che mi sento di ringraziare. Thank you very much, Sig.Giorgio! I am very pleased that you were happy. If one day you decide to go, you are always welcome! Grazie mille, Sig.Giorgio! Mi fa molto piacere che siete rimasti contenti. Se un giorno decidete di tornare, siete sempre benvenuti! Very nice house, clean, we will be back again next year. 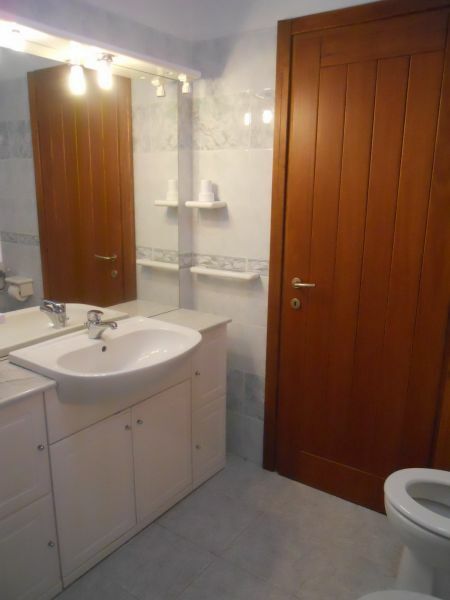 Bellissima casa, pulita, ci torneremo anche il prossimo anno. The house is what is described. It is very well maintained and there is virtually nothing. The only flaw the bed whose mattress is definitely to be changed! 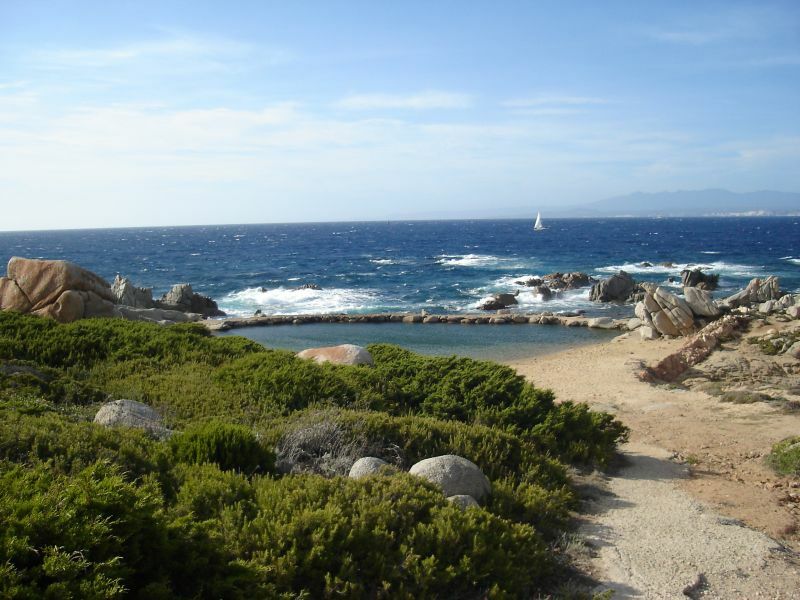 The natural pool is actually signaled a pool dirty and smelly. That said, however, the house is really beautiful and very comfortable and the owners available. The council certainly. La casa è come viene descritta. È molto ben tenuta e non manca praticamente nulla. Unica pecca il letto matrimoniale il cui materasso è decisamente da cambiare! La piscina naturale segnalata è in realtà una pozza sporca e puzzolente. 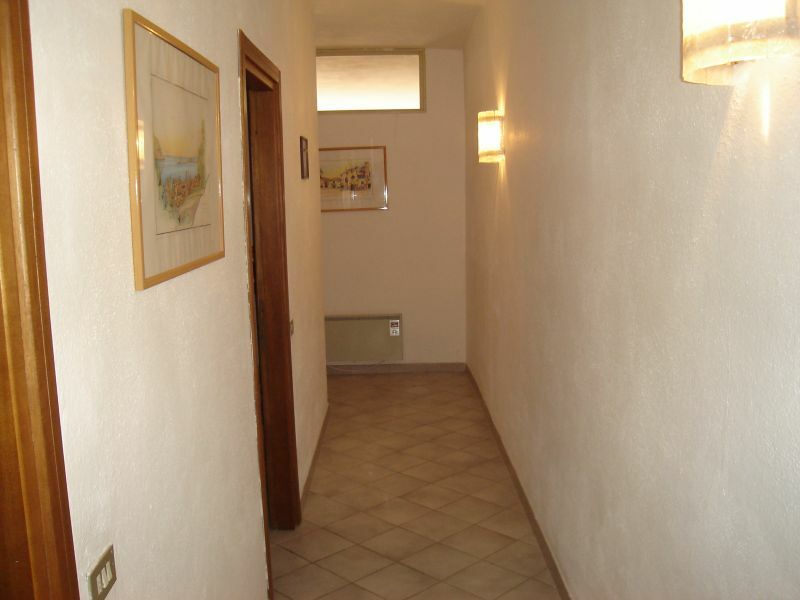 Detto questo però la casa è davvero bella e molto comoda e i proprietari disponibili. La consiglio sicuramente. Hello Ms. Parolari unfortunately had broken system parts water natural pool, so the system was not accessible. As for the mattress double room, we checked and found it suitable. Also we have not received similar reports from other vacationers. We hope to see you again soon in our house! Buongiorno Sig.ra Parolari, purtroppo si era rotto il sistema di ricambio dell'acqua della piscina naturale, pertanto l'impianto non era accessibile. Per quanto riguarda il materasso della camera matrimoniale, lo abbiamo verificato e ci è sembrato idoneo. Inoltre non abbiamo ricevuto segnalazioni analoghe da altri vacanzieri. Contiamo di avervi di nuovo presto nella nostra casa ! The apartment is comfortable and spacious in a beautifully landscaped setting. The owner is very helpful and always concerned about the well-being of its tenants. L'appartement est confortable et très spacieux dans un cadre paysager superbe. Le propriétaire est très disponible et toujours soucieux du bien-être de ses locataires. A conseiller sans aucun doute. Apartment clean well cared for, in absolute tranquility. Entirely consistent with the description. I hope to return next year. 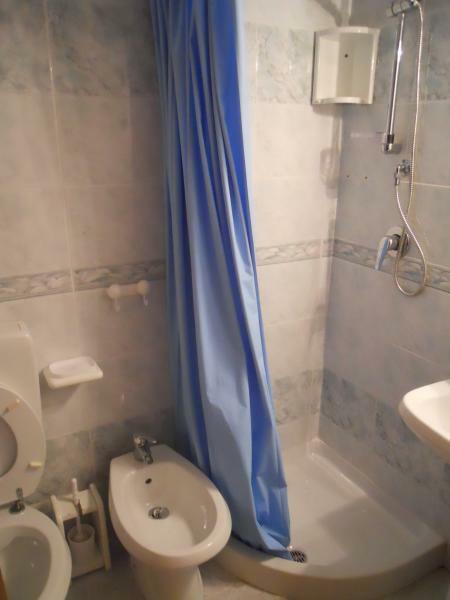 Appartamento curato bene pulito, in assoluta tranquillità. Tutto conforme alla descrizione dell'annuncio. Spero di ritornare per l'anno prossimo. We enjoyed the availability of our owner, who moreover spoke perfect French, which facilitated our exchanges. 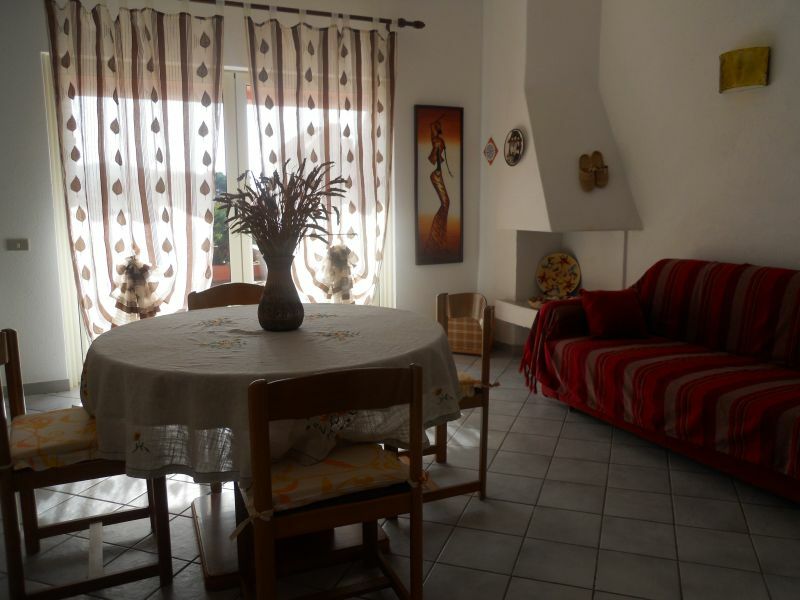 The apartment was consistent with the description and we found it well equipped and very spacious. 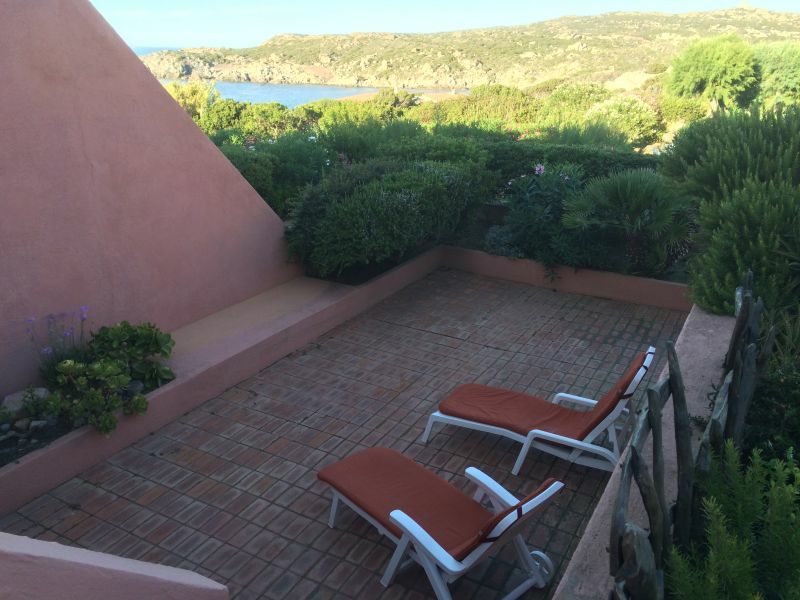 Although the apartment is in a complex, we enjoyed the independence of apartments relative to each other without too much overlooked, and the corner still very wild direct access to the sea and preserved but there are no beaches immediately nearby for swimming. You must use the car but there beautiful beaches a little further .. 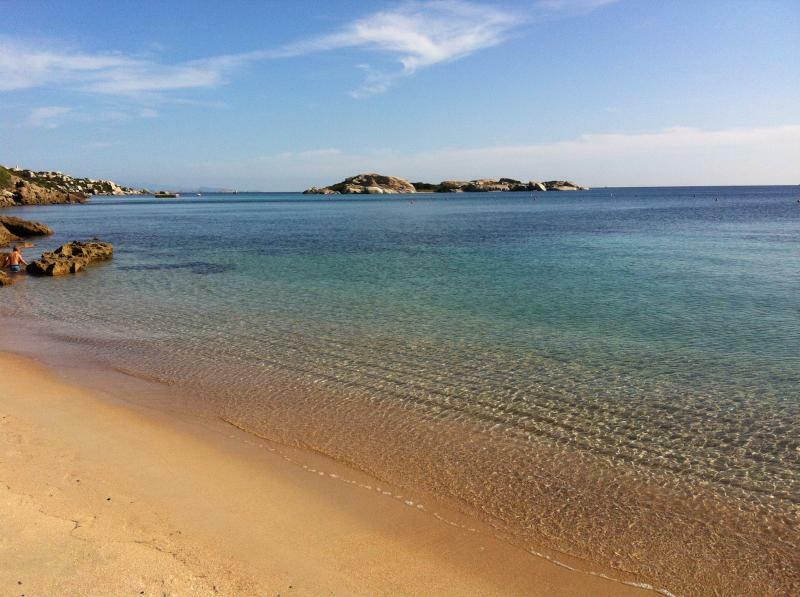 The period of May is ideal for visiting Sardinia because the weather is mild and we enjoyed the flowery side of the island and especially there are not many people! 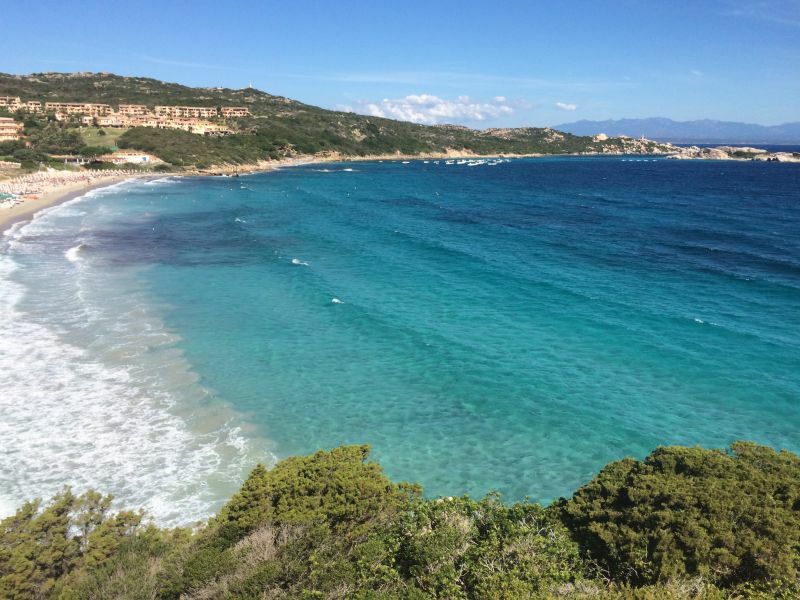 We stayed mainly in the north of Sardinia. We recommend this rental to others, three of us but it is possible to sleep at least 5 people. Nous avons beaucoup apprécié la disponibilité de notre propriétaire, qui de surcroît parlait parfaitement le Français, ce qui a facilité nos échanges. L'appartement était conforme à la description et nous l'avons trouvé bien équipé et très spacieux. Bien que l'appartement se situe dans un complexe, nous avons pu apprécier l'indépendance des appartements des uns par rapport aux autres sans trop de vis à vis, ainsi que l'accès directe à la mer. Le coin encore très sauvage et préservé, mais il n'y a pas de plages tout de suite à proximité pour se baigner. Il faut utiliser la voiture mais il y a de très belles plages un peu plus loin.. La période du mois de mai est idéale pour visiter la Sardaigne car le temps y est clément et nous avons apprécié le côté fleuri de l'île et surtout il n'y a pas beaucoup de monde! Nous sommes restés surtout au Nord de la Sardaigne. Nous recommandons cette location à d'autres personnes, nous étions trois mais il est possible de dormir au moins à 5 personnes. 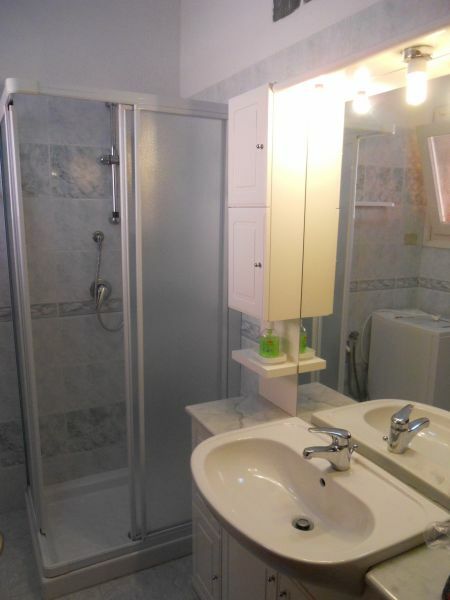 The house is very cozy, clean, fresh and spacious and the owners extremely available. We loved it because it is situated in a quiet and easily accessible (although the road is very bumpy). Everything, very well organized by the owners. Very nice apartment recommended for a family holiday. 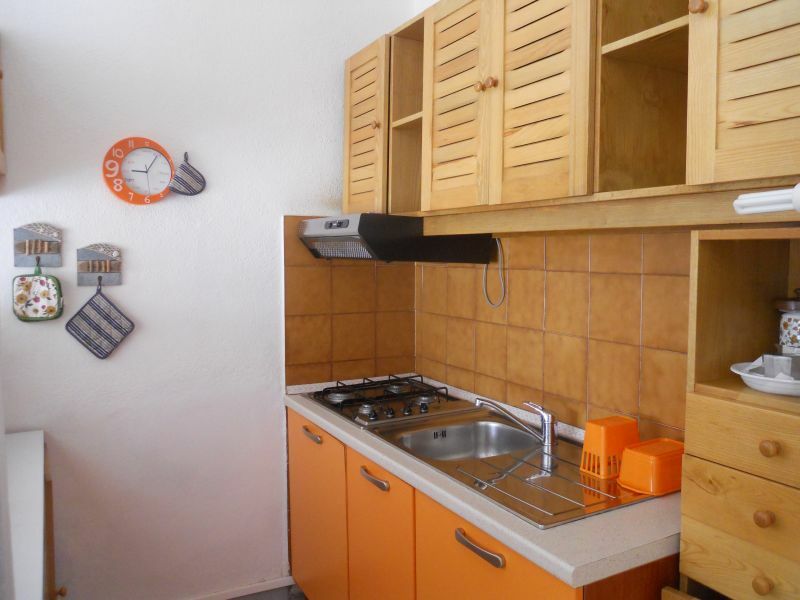 Appartement très agréable à recommander pour des vacances en famille. The house is comfortable and very pretty, with two small children was important to have a comfortable home and close to the sea. We found everything we needed and we spent a wonderful vacation! 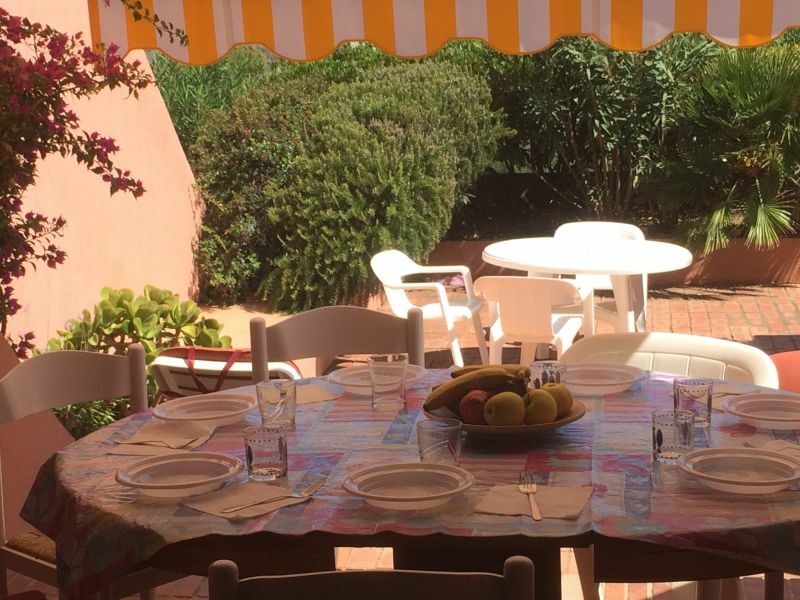 La casa è comodissima e molto carina, con due bambini piccoli era fondamentale avere un casa confortevole e vicino al mare. Abbiamo trovato tutto quello di cui avevamo bisogno ed abbiamo trascorso una splendida vacanza! 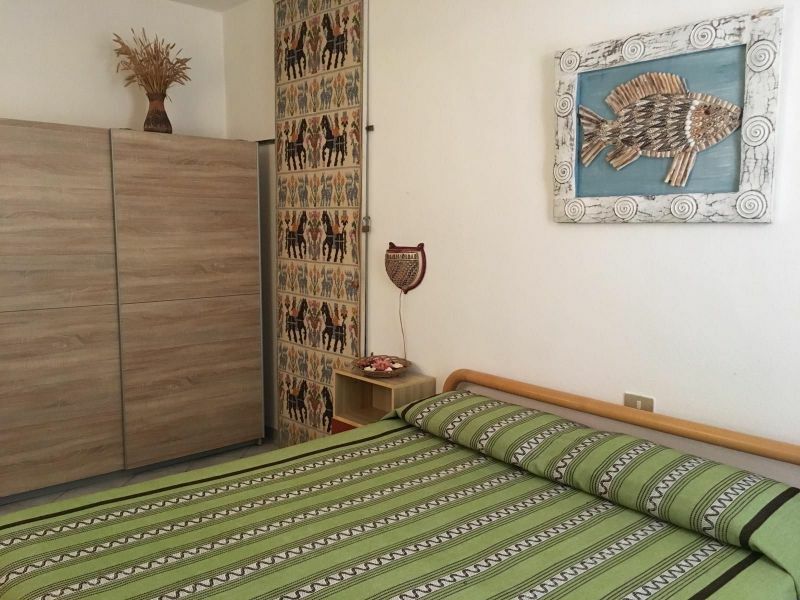 My name is Paula and together with my husband and our children aged 17 and 20 years, we have spent the last 14 days of June, in the apartment of Mr. Menini. It 'was a fantastic holiday! The owners are delightful and then we must say that in 90 square meters of space and freedom there. 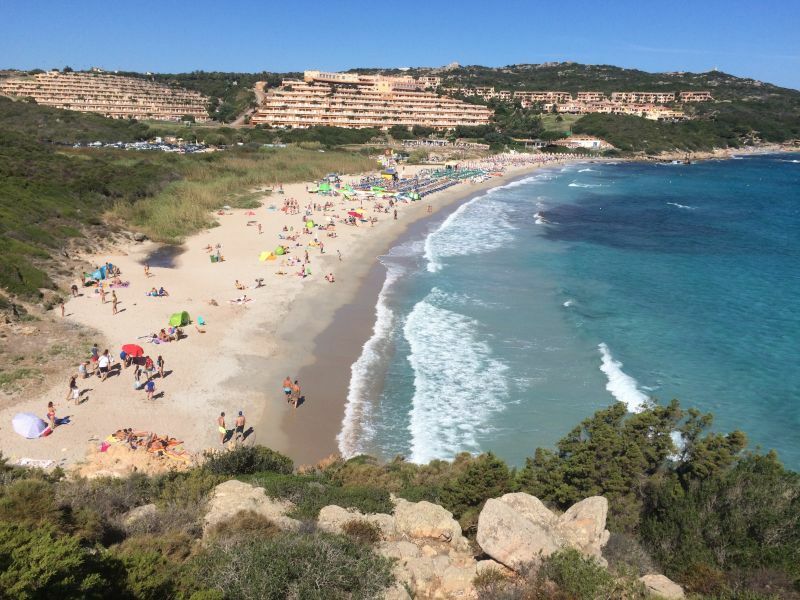 In the residence there is no real beach but it is the ideal place to go in so many coves that are worth a visit (26 bays in 13 days). Mi chiamo Paola e insieme a mio marito e i nostri figli di 17 e 20 anni, abbiamo trascorso gli ultimi 14 giorni di giugno, nell'appartamento dei signor Menini. E' stata una vacanza fantastica!!! I proprietari sono deliziosi e poi c'è da dire che in 90 mq, lo spazio e la libertà non mancano. 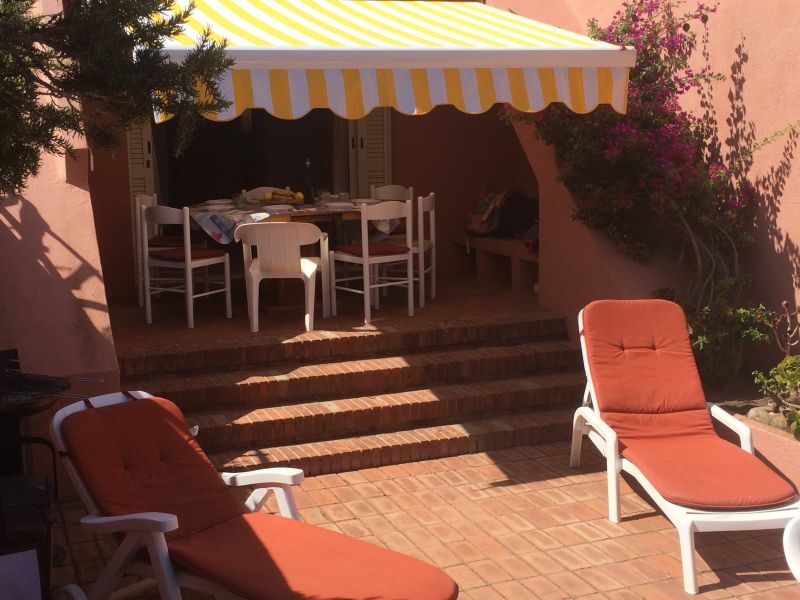 Nel residence non c'è una vera e propria spiaggia ma è il posto ideale per andare nelle così tante calette che meritano essere visitate (26 calette in 13 giorni). 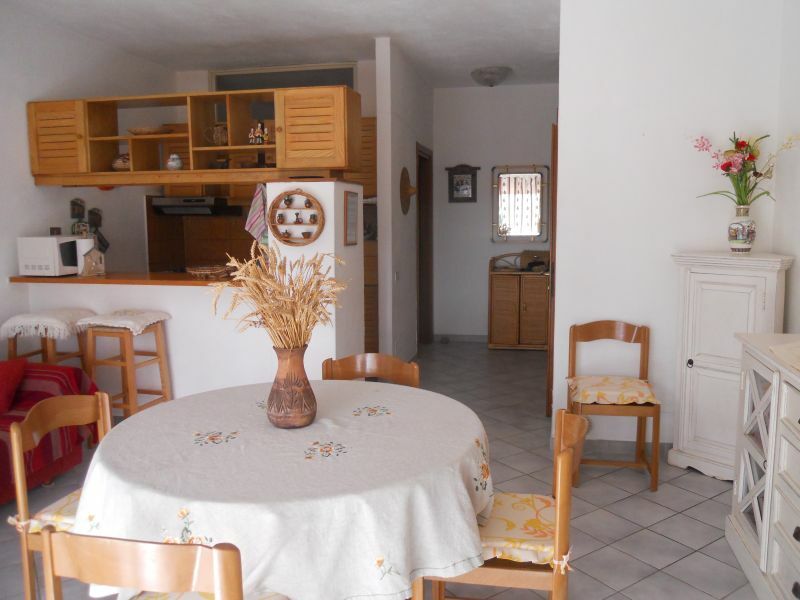 Home spacious, very clean, well maintained and equipped with everything you need for your holiday. Very quiet location and only a few km from the town center but it is essential to have a car (as indeed already recommended by the announcement). Owners available and serious. Beautiful vacation. Abitazione spaziosa, molto pulita, ben tenuta e fornita di tutto il necessario per la vacanza. Posizione molto tranquilla e a pochi km dal centro del paese ma è indispensabile avere l'auto (come effettivamente già consigliato dall'annuncio). Proprietari disponibili e seri. Vacanza bellissima. Large, comfortable, spacious, great view. Casa grande, comoda, spaziosa, ottima vista. Ci siamo trovati bene.